Why Is Claressa Shields' Nickname T-Rex? 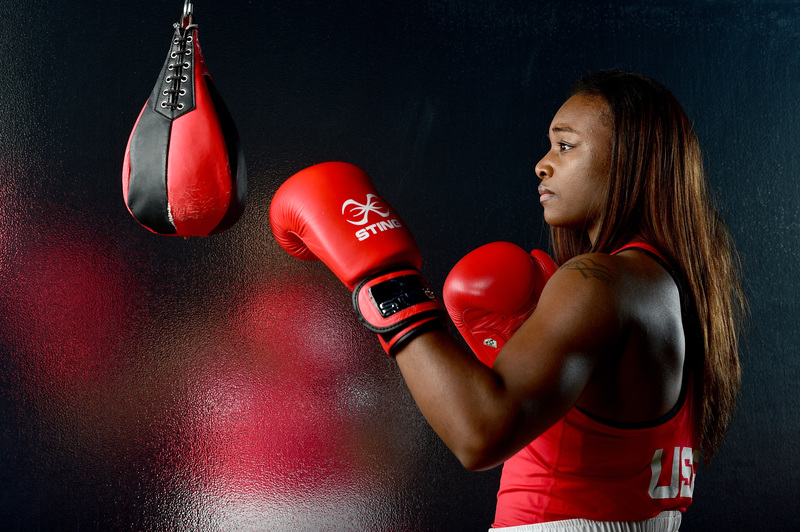 Women's boxing didn't become an Olympic event until 2012, but when it finally did, American boxer Claressa Shields took home the gold in her weight class. This year in Rio, Shields has a chance to defend her title. She has already clinched at least a silver medal by defeating Kazakhstan’s Dariga Shakimova and advancing to the finals for women's middleweight boxing, and she is the favorite to win the gold in her division. This is a big moment for Shields, whose nickname has been T-Rex ever since she started boxing at age 11. So how exactly did she get this nickname? As Shields told ESPN, "Back when I was younger, I was very skinny and I had short arms, but I used to always be swinging." And so the nickname T-Rex was born — this is also how the documentary T-Rex got its name. This documentary chronicles Shields' journey to an Olympic championship at the 2012 London Olympics, when she was just 17 years old. It starts with her training in Flint, follows her through the U.S. Team Trials, and shows her boxing her way to the gold. Shields is just as fierce as her nickname suggests, if not more so. In Rio, as well as throughout her career, she isn't just fighting for gold medals. She's fighting to get her family out of Flint — where the water quality has finally started to improve — and to pave the way for other female boxers. Her resilience extends well beyond her sport. Growing up in Flint, Shields was surrounded by poverty and violence, and she told Elle that she was raped and molested when she was as young as five years old. She made sacrifices to take care of her siblings, and she was bullied in elementary school. She had a lot to be angry about, but she channeled this anger into boxing — and her efforts have definitely paid off. "Without that struggle, I don't think I would be as strong as I am," she told ESPN. Shields is working toward an ambitious goal that makes it clear, if it wasn't already, that she will continue to embody her nickname. "I think about the people that are relying on me and the people I give hope to," she told Elle. "And I think about the big goal: to go down in history as one of the best women's fighters to ever live."